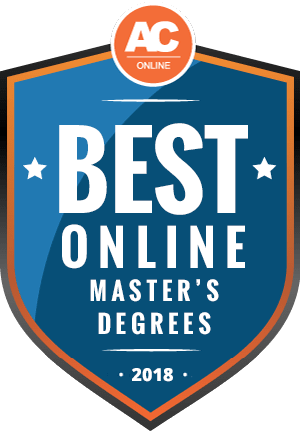 Why Should I Earn a Master’s Degree Online? What Are the Highest-Paying Online Master’s Degrees? What Are the Most Popular Master’s Degrees to Earn Online? How Long Does It Take to Earn a Master’s Degree Online? Are Online Master’s Degrees Cheaper? Can You Get Financial Aid for Online Master’s Programs? How Can I Find the Best Online Master’s Programs? For those whose circumstances prevent them from attending in-person classes, online learning provides an opportunity that may not otherwise be possible. 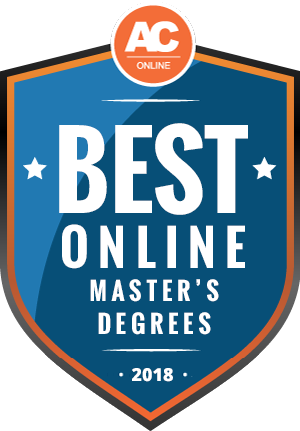 This is one of the major reasons why online master’s degrees are popular: Since a master’s is an advanced degree, many students pursuing this credential are already well-established in their careers and are seeking ways to advance professionally. Many master’s degree students already have children and other family obligations that may prevent them from spending many hours on campus. Recognizing this need, many colleges and universities offer a suite of online master’s degree programs to accommodate individuals with work and family responsibilities. We’ll take a look at what prospective master’s degree students can expect from an online degree program, as well as provide a bit of advice in choosing the right program for their unique needs. Prospective online master’s degree students can begin their search for schools with the following list. This ranking of schools with online master’s degree programs takes into account various factors, such as tuition and program offerings. This makes it easier for curious students to decide if the higher-ranked schools can effectively meet their academic needs. Some of the main reasons to consider an online master’s program are listed below. You may find online learning provides other benefits, as well, such as saving money on tuition costs. Online learners usually pay less than their on-campus counterparts, especially for those students living out-of-state. Students in online programs can access course materials from anywhere in the world. Whether it is your own living room or a coffee shop while on vacation, you aren’t tied down to one specific location by a class. This also means that you can attend a school in another city or state without having to make a major move, which can save you money, time, and a great deal of stress. Online courses generally don’t have set times for lectures or discussions, letting you work with course materials and engage with your peers and teachers when your schedule allows. Students in traditional college and university settings interact with people from a variety of backgrounds, but online courses make this even easier. Because of the flexibility and accessibility of online courses, you can meet and network with people from around the country and around the world, each with their own experiences, knowledge, and perspectives on the material. The table below lists five broad career paths for which you need a master’s degree — or in which a master’s degree can significantly improve your earning potential. As an advanced degree, earning a master’s demonstrates that you have more education (and likely more experience) than applicants with only a bachelor’s degree. In most fields, a master’s degree is much less common than a bachelor’s degree, which in turn makes you a more valuable employee. In some cases, a master’s may be a necessary step toward a doctoral degree. Additionally, the specialization of a master’s degree may bring higher earning potential and greater job satisfaction. Online master’s programs are especially popular because they allow students with prior education and experience in a specific field to advance their career. Many people who enter these programs are working professionals looking to earn more or make a career change; these students may also have jobs or families that make it difficult to enroll in an on-campus master’s program. The table below introduces some of the more popular fields of study for online master’s programs and outlines benefits a master’s degree can confer. Business 24% A master’s in business allows professionals to further specialize in what they already do. With the notable exception of the Certified Public Accountant, few positions require this level of business education. However, those with this degree garner increased salary potential and more job possibilities. Education 19% Most educators pursue a master’s degree to teach specific populations. For example, a master’s degree in special education is required to work with students with disabilities. Additionally, administrative positions — such as school principal or superintendent — usually require a minimum of a master’s degree. Health Professions and Related Programs 14% The highest-paid nurses usually have at least a master’s degree that allows them to specialize in a specific type of medicine. Healthcare administration and other business-focused aspects of the industry often require a master’s degree; however, many schools don’t teach these subjects at the undergraduate level. Engineering 6% Engineers who earn a master’s degree can increase their earning potential and specialize their career. This is also an important step for those who are considering a doctoral degree. Specialization can be supported and expanded through various certifications, many of which require at least this level of education. Public Administration and Social Services 6% Many social services positions require a master’s degree, though this can vary from one state to the next. Leadership positions in these fields almost always require at least a master’s degree, and many people pursue these programs to take on more responsibility in their careers. Master’s degree programs offer more variations than their undergraduate counterparts, making the timeline to earn a graduate degree subject-dependent. However, the typical master’s degree program takes between 18 and 24 months to complete. Students may take up to three years, however, especially for those who enroll part time. With so much flexibility in master’s programs, the following timeline provides a basic overview of each year of schooling. Online master’s degree programs can be very competitive. As a result, prospective graduate students should work hard to get the best grades possible in undergraduate work and aim for the highest possible graduate entrance exam scores. High grades and scores can also help make a master’s degree more affordable. Just like an undergraduate program, academic merit makes it more likely to receive an academic scholarship, grant, or fellowship. The actual application process varies based on each school’s admissions requirements, as well as the specific program or department. For example, most online MBA programs prefer applicants complete the GMAT instead of the GRE, though there are a growing number of exceptions. Besides the entrance exam, students submit all undergraduate transcripts, letters of recommendation, a resume or curriculum vitae, a personal statement, any exam scores, and the application itself. Depending on the program, students may also submit of a portfolio of work. The first year of a master’s program is similar to a student’s junior year of college: there are no general education requirements, so students’ coursework is focused on the subject matter for the degree on the first day of class. Students should already have a bachelor’s degree, work experience in the field, or both. They should also possess a solid understanding of foundational concepts in their chosen field. In some programs, students may decide on an area of specialty during their first year, although the bulk of these specialized courses may not begin until year two of a master’s program. The second year of a master’s program features electives and specialization courses. The courses are usually in-depth, high-level courses devoted to a deeper understanding of the field, and students usually complete a capstone project or thesis at the end of their second year. For students not returning to their job after graduation, it is a good idea to begin the job search process during this second year. These students can expect to spend a lot of effort on networking opportunities and applying for jobs. Some students may also plan to pursue a doctorate, so students may research and apply to programs in the second year of their master’s degree, too. However, it’s common for master’s degree graduates to obtain several years of work experience before entering a doctoral program. The price of obtaining an online master’s degree is comparable to an on-campus master’s program. While there are a few more costs associated with online education, it’s common for an online program to be cheaper and more cost-effective than attending class in-person. While it is not common for graduate students to live on campus, online learners can complete their degree at a school that best fit their personal and professional goals — regardless of their location and without the need to make a major move. Thus, online students often save significantly on housing. Online students typically pay technology fees that their on-campus counterparts do not. These fees are usually rather small and manageable, but they can sometimes amount to up to $100 per class. At some schools, these fees are charged to all students, regardless of whether a student is attending class online or not. The impact of these fees depends on the specific school policy in place, so students need to find out which fees they may be required to pay and factor that into their tuition costs. Because online master’s degree students do not have to travel to campus, they also save significantly on gas, vehicle maintenance, parking, and public transit costs. However, for students enrolled in a hybrid or blended online program, there may be significant on-campus or in-person requirements. These expectations may result in significant travel expenses, especially if the student lives across the country from their online school. The good news is that for some, these travel costs may be minimal, especially if the in-person requirements can be satisfied locally. This is often the case in healthcare programs, for example, where colleges and universities allow students to find a nearby clinic or hospital at which to meet the clinical or practicum requirements of their respective program. Tuition for online programs is usually the same as on-campus programs, though this is not always the case: At many schools, the online cost per credit hour is the same tuition as for in-state residents. Some schools boast online tuition that is cheaper for all students, a price even lower than the in-state rate. Having reliable and fast internet access is critical for postsecondary learning, especially for online students. On-campus students usually have access to on-campus computer labs, and they receive lectures and course materials in a physical classroom. At most schools, Wi-Fi access is free for all students and some schools even provide laptops or iPads for their on-campus students. Online students usually don’t have these advantages, so buying a personal computer and paying for internet is an added cost they must consider. Most master’s degree programs allow their students to work full time. This means the curriculum accommodates the students’ needs outside of the classroom, including work, family, and community obligations. This ability to work while in school can make an otherwise expensive educational pursuit much more financially viable. Attending school online rarely makes any difference with respect to eligibility for financial aid. Online students have access to the same state, federal, and privately funded financial aid awards as any other student. The biggest exception has to do with accreditation. Most students must complete the FAFSA to determine their eligibility for financial aid. There are numerous federal-based aid options for graduate students, with more information available at the official federal government website, Federal Student Aid. Even if students don’t apply for federal financial aid, they still must complete the FAFSA; it is almost always required for the granting of state-based aid. Additionally, many private scholarships require applicants to complete the FAFSA for eligibility. Master’s students should bear in mind that some federal and state-based aid is directed toward undergraduate students exclusively, so governmental financial assistance for tuition might be lower for pursuing a master’s. Conversely, graduate students can access certain types of financial aid awards — such as fellowships — that are not usually available at the undergraduate level. A scholarship is money that does not have to be paid back. They are awarded by schools or private organizations. They are often geared toward specific fields of study or student populations, and require applicants to compete for limited funds. Grants are financial gifts from the federal government or a state. They usually do not have to be paid back, provided you finish your program. Some grants may need to be repaid if a student does not finish their program or meet other qualifications after graduation. Work-study programs place students in jobs to pay for college, and generally allow them to work enough to earn what they were awarded by the program. This is not a common option for graduate students, especially online students, and these options are often reserved for undergraduates who live on or near campus. Student loans are available from the federal government and private lenders. The government offers better interest rates and more generous repayment options. Graduate students are not eligible for subsidized loans, meaning that they must pay interest on their loan from the day it is awarded. Fellowships are generally granted to professionals who have completed a doctoral degree. These individuals are given a salary to teach or conduct research at a specific university or other institution. Some fellowships are granted as research-based scholarships or other aid options, but this varies by school. While a master’s degree can advance your career, increase your earning potential, or even embark on a new career path, there are still other education opportunities graduates may pursue. Some master’s degrees may be terminal — meaning that it is the highest degree available in the field — but many professions expect and encourage continuing education or additional certifications. We’ve introduced three common options in the section below. Doctoral degrees come in a variety of forms, but they usually require 2-4 years of additional coursework as well as research and original scholarly writing, often in the form of a dissertation. Ph.D.s are qualified to teach at the university level, while an MD or Ed.D. is required to practice in the field. Many careers — such as nurses or social workers — require specific licenses to practice. Thought requirements vary by state, most licenses require work experience and passing one or more exams. Continuing education is often a requirement for renewing these licenses. Certification is sometimes used in lieu of licensure, but it generally implies that the holder has a specific and verified set of skills or a specialization in their field. Certifications may be required for some positions, but they are also a good way to demonstrate your skills to employers. Because the idea of “best” is based primarily on the particular needs of the student, making a universal list of “best” programs is not a one-size-fits-all proposition. While the following list ranks schools, it does so by analyzing a number of different factors. For example, students more interested in earning a degree as cheaply as possible can focus on the cost of attendance and place less emphasis on student-to-faculty ratio. Decisions like this allow future college students to find the best program for their specific needs.